← Do Victims Of Ponzi Schemes Seek Justice With Dirty Hands? I must say that I am forced to agree that the United Nations as it stands right now makes no sense to some nations. This is because the world’s memory is short and we have forgotten why the founding fathers brought it into existence in the 1st place. With the veto powers granted them some countries have elected to pervert the system rather than enrich it. 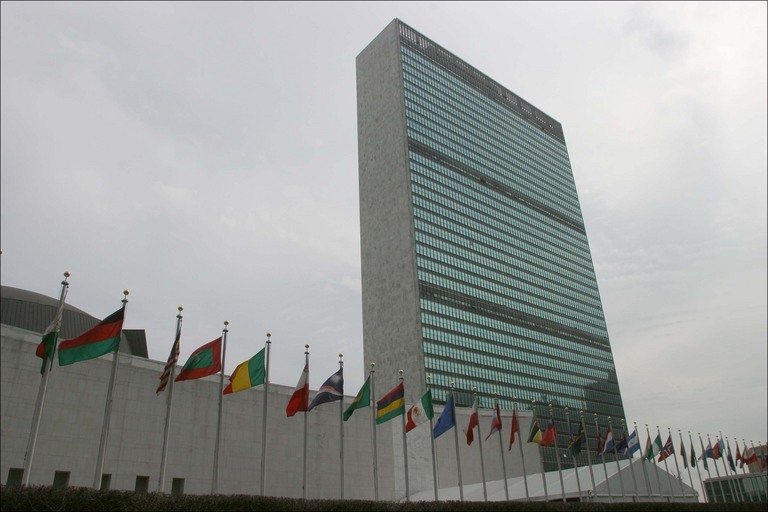 Various tactics have been used to bully and weaken the United Nations over the years like the withholding of dues and other forms of support. Leaders of the warrior nations have taken to questioning its validity in the press and turning their people and anyone else that will listen to them against this institution of peace. If the United Nations is so ineffectual and so out of step why not just get out, I would ask the countries who shout this lie? I would hazard a guess and say that it is not ineffectual for what it was set up to do, but it is frustrating as hell when you want revenge and the United Nations says we are not here for that, but if you are interested in coming to a peaceful solution we will do all that we can for you. Too many of the countries that once respected the way of peace like Canada have turned to the ways of war. If there is no collective will to find a peaceful solution then of course an organization dedicated to peaceful solutions seems obsolete and looks like it serves no purpose. Quite frankly the super powers have over run the United Nations and refuse to acknowledge any ruling that is not in their favor. I think that these super powers need to withdraw from the United Nations all together so that those who wish to settle matters in a peaceful manner can, unhampered and drowned out by these so-called super powers with their insistent saber-rattling and thwarted by these same countries lust for blood, power and economic superiority. If the United Nations is dying it is because you super powers are killing this institution as sure as if you were a slow-moving cancer. Since it’s very conception you have plotted and schemed to give yourselves more power than anyone else. You super powers have twisted the dreams and used the hopes of the less fortunate nations to bend them to your will. Like a cancer you have infected the whole body that is the United Nations a little more with every passing session until now there is more cancerous cells than healthy ones. Until the United Nations excises all of the cancerous tissue it will never be whole, or ever achieve its ultimate goals of resolving the problems of the world in a peaceful democratic manner. Famine, drought, lack of medicine and all the problems of the world are brought on by mans greed. Man has created them and has the power to fix them, but he would rather watch your babies die then give you the cure; he would rather watch you starve than give you the grain going bad in his silos; he would rather watch you die of thirst than give you the equipment, or technology to dig your wells. The answer to the why is simple man is greedy and his need to make a profit will always trump your life and the life of your family. I think they call it economics? The United Nations was formed to help people not hurt them. It was never meant as a mass mobilization, or recruitment center for super powers to draw from when they seek to take revenge on their enemies. Yes, for the super powers of the world I can see how this organization no longer makes any sense to you; so why do you not just go away and leave it to those who truly seek peace without the gun, a place to do it? This entry was posted in abuse, abuse of power, abuse of women, Banking, Canada, Cancer, Charitable Organizations, charity, Child Abuse, Child Abuse, Child torture and child soldiers, Government, Israel, Israel the rogue nation, Palestinian Threats, Prejudice, Quebec Sponsored Genocide, Quebec's Abuse of Its None Quebecoise Residents (Other Canadians), Schools and Learning Places, stereotyping, Teachers, Terrorism, United States of America and tagged bigotry, Canada, child abuse, christianity, genocide, George W.Bush, God, Government, Government of Canada, heavy handed tactics, law suits, lawyers, Multilateral, murder, New York City, Opposing Views, politics, prodedure, Quebec, Stephen Harper, stepping up to the plate, Ted Turner, United Nations, United Nations Foundation, United Nations General Assembly, United States, Warfare and Conflict. Bookmark the permalink.